Mattia, if we could start with you. This morning Sebastian had some engine-related problems and this afternoon there were other problems, seemingly gearbox-related. Could you please explain what happened and if these problems are related? Mattia BINOTTO: The two problems are different. This morning it was not engine-related it was a problem related to the transmission on the back of the car. It is something that we have seen, we have analysed, we are confident to sort it out for the rest of the weekend. While in the afternoon, it just happened, we analysed, apparently it’s on the gearbox but again we’ll try to analyse and fix it for the rest of the weekend. Do they have any relationship? MB: No relationship between the two. OK. In Canada, Ferrari introduced upgrades or an upgraded engine, but from the outside we couldn’t really assess what the improvement or the gains had been, especially with Vettel’s penalty. Could you elaborate a little bit and tell us if we are expecting any further improvements here? MB: You are right, we introduced an improvement in Canada, especially on the power unit. We spent already some tokens, which is something the regulations allowed us, so we introduced what for us is a step in terms of engine performance. Obviously we take the entire weekend looking at the telemetry and we can confirm that the spec and step in performance that we were expecting was effectively there and available. As you said, we had some problems during the weekend – qualifying, Vettel – difficult to assess the overall performance of the car and the vehicle. I have to say that in the race itself we missed the podium, which was the first time for the season, so we cannot be happy with the overall performance. On the other side, looking at the data it seems our pace was not so bad finally and we are really expecting this weekend really to try to have some more indications and hopefully let’s try to demonstrate what we are able to do. Thank you very much? Moving on to you Paul now. [Daniel] Ricciardo is using his fifth engine here, therefore there is going to be a penalty on Sunday, but [Daniil] Kvyat is not. Is there any rationale behind it? Is it something related to mileage on the engine or is it something more strategically minded at Red Bull’s home race? Paul MONAGHAN: There’s nothing strategic really. We knew we had this coming. It’s our choice and need to do so, so at the moment Daniel’s got the new one in and as and when we need to we’ll do the other one as well. There’s also a new chassis for Ricciardo at this race. Is this something that was already in the agenda or was it a precautionary measure? PM: There’s nothing precautionary; the chassis was becoming available. We looked at doing in for Canada but it’s a bit of a rush and then take it to the other side of the Atlantic and if the preparations are poor it’s a bit more painful to sort out. So it fell to be introduced here and nothing more to it than that really. Thank you very much. Moving to you now Rob: Honda introduced an upgrade in Canada, so did Ferrari, Mercedes spent most of its tokens at the beginning of the season. Renault has got 12 tokens available and has used none, so the question everyone is asking at this point? Because I’m sure there’s a masterplan behind it. Rob WHITE: I think tokens have taken on a bit of a life of their own and maybe we should calm down about tokens a bit. We clearly have tokens in hand and tokens in hand partly because we reassessed our options before the season to take account of the late-breaking news that the riles interpretation would be different to how it was expected, so you’re quite right: tokens not spent thus far because we had to divert our attention to other matters. We had an obvious big reliability moment that required our full attention. As Paul mentioned a little bit earlier, we knew we were in bother right from the start and we knew that the management of the sporting penalties would be an issue for us right from the start of the season and now we’ve got to make all that come together with all the performance upgrades that are now back on course but will of course arrive later than we had originally planned and the direct consequence of having to deal with the reliability matters. You’re talking about performance and recently Christian Horner mentioned that these couple of weeks, these coming weeks are going to be crucial for engine development because of some tests happening on the dyno at Viry. He said that he is expecting a major impact on future performance but is it short-term or mid-term performance and also which timescales are we really talking about? RW: Engine development is a long, hard slog and the weeks in front of us are important, both for now, for preparing the races that are directly in front of us and preparing for the rest of the season, because coming back to the previous matter about token introduction then there becomes a kind of juggling act in which you have to plan, by counting back from the end of the season, when it makes sense to spend tokens, when it’s possible to make a planned introduction and then there’s another kind of tactical dimension which is that you might choose to have a spec available that is not planned but is available in case opportunity presents itself, so the weeks we are in now are kind of crucial for both of those short-term matters and of course we also have to keep our eye on the longer-term future, including the forthcoming season, because it’s now back at base at the factory that those things are built. So the answer is, unfortunately, not easy and the forthcoming weeks are extremely important to us on all three fronts. Thank you very much. Moving to you Tom. Tom, we’ve seen an increased performance for Force India, especially in Canada a couple of weeks ago and now we’re coming into another power track – a few really – this one, Silverstone, so where is Force India at the moment in the pecking order at this time? Tom McCULLOUGH: We’re in a very tight, competitive part of the grid, so that changes from race to race, track to track. We were obviously on the back foot at the start of the year, missing some winter testing, and it takes you a while just to catch up the understanding of the car and the tyres. A lot of things changed for us over the winter, so we didn’t really get the most out of our package in the first few races. We picked up points where we could do. I think with our existing car, we’ve got a reasonable understanding of it, both in Monaco with Sergio’s strong qualifying and race and as you say with Nico in Montreal. But we’re in such a tight part of the grid, little mistakes by our competitors, even ourselves, one tenth here and there, the nature of the last few circuits makes a big difference come race day, so it’s just about really maximising what you’ve got. Next week’s test is going to be very important for everybody but especially for you guys – introducing this long-awaited B-spec car. How much of a difference do you think it’s going to male? TMcC: Yeah, so the plan from the early part of the year was always to introduce that for the Silverstone race and that’s still on target. We’ve been slowly introducing some of the parts in the background actually, some of them mechanical, some of them on the aero side, and that really started from the Barcelona test onward, so it’s a continual process. We’re really looking forward to getting the new package, it is quite different; there are a lot of parts changing between now and the Silverstone race and we’re evaluating quite a few of those next week at the test here. Until we see it on the track we won’t know for sure, but we’re pretty encouraged from what we see on the numbers side of things. Thank you very much and coming to you James: keeping on with the testing topic, next week’s test is probably going to be very important for Force India, but Toro Rosso introduced its big package in the beginning of the season with minor upgrades later on. So how valuable do you see this next test being for you at Toro Rosso? James KEY: Testing is always valuable because there is always stuff you want to do and things you want to learn, so we have an absolutely full test list for two days. We introduced the biggest package of the season in test three in Barcelona before the beginning of the season and that was the basis, if you like of the race car we wanted rather than the launch-spec car, but actually we’ve introduced quite a bit since then. It’s been some little subtle changes that are not so obvious… actually, the biggest change is this race believe it or not, so we’ve actually got a lot of stuff on the car, much of it under the bodywork this event. So we’ve got quite a bit going on and I think we will certainly evaluate some of the stuff we’ve brought here in more detail at the test and test some bits for the future as well. So there’s plenty to do. Toro Rosso has made a big step forward, a big change compared to last year, on many different fronts – chassis, operational. How do you take it to the next step? JK: I think you first need to figure out how far we’ve gone! I think there’s still more to do. We’re not happy with the points we’ve scored so far, there have been missed opportunities so far this year for various reasons. So we’re not maximizing our abilities right now, that’s the first step we have to make in the short term. Longer term you st=153463-check; wordpress_dd6ac At the end of the day your performance is all relative to everyone else, so you can do the same thing and find you’ve taken a step or not. So we’ve got to set ourselves some ambitious targets for next year and chip away at that and we have got lots of little things in the background to try to help us on the operational side, on the production side, take that a step further and so on. It’s a continuation of the process really. Moving to you now Pat: Williams’ biggest step was probably made last year where the differences were a lot bigger. This season the difference seems to be a lot smaller, so the little gains that would be seen as positives last year, this year seem to be maybe a bit disappointing or that Williams is not where it should be or where everyone is expecting. Is it hard to manage expectations this season, especially coming into a race like Austria, which was one of the breakthroughs for Williams last year? Pat SYMONDS: Yeah, I think you need to put things in perspective. Of course last year was a huge jump from ninth in the championship to ultimately third in the championship, but remember this time last year we were sixth in the championship with about 53 points, I can’t remember exactly, we’re nearly double those points now. By most measures we’re having a pretty good year. Of course we’d like to move forward, you know, that’s what we’re all here for. Everyone in this room just wants to win. But I think we’re pretty pleased with the way things are going. We’ve again brought new parts to this race; we keep on pushing forwards and, yeah, I think it’s a pretty successful year. I wanted to ask about these upgrades, because this is the major upgrade for Williams, at least so far this season. Is it matching the expectation? Is it what you thought it was going to be or is there still something that needs tweaking? PS: No. It’s certainly met all the expectations. We took a slightly cautious approach this morning, checked each thing out, went a little bit further in the afternoon and certainly the analysis of this morning’s results show exactly what we expected and at first glance this afternoon’s look good, although of course the engineers here and back at Grove are analysing all the runs from this afternoon right at the moment. Q: (Frédéric Ferret – L’Equipe) A question to Mattia Binotto and Paul Monaghan: would you think of using a third driver on Friday morning? Do you think there is a technical explanation to change driver from FP1 to FP2? MB: In terms of technical I don’t think there is any benefit. By the terms that you have good drivers in the car, that are used to driving your own car I think that’s the most that can give you the real feedback and technical feedback. But that’s not all. Technical is not all. We have to think of young drivers. We have to think of how to grow up with our drivers and I think that finally it’s a very good opportunity. When you manage a team, you do no0t manage only the technical, but the sportive, the drivers, your people, your technicians and it’s the overall balance that is important, so it’s a great opportunity, it’s important to try to take it and I think that’s the point. PM: On the technical front, as we stand at the moment, I wouldn’t see any merit in putting a third driver in our car of a Friday morning. Obviously one of our drivers is in his second season so he is still learning as he goes and I think they both benefit from mileage in the car at the moment. Later on in the season if there was some interest in taking a third driver of course we can accommodate it. You sometimes get a different view on the car, which can be quite interesting but as we stand at the moment I wouldn’t change. Q: (Peter Farkas – Auto Motor) A question to all of you. One of the complaints fans frequently make is the drivers are instructed too much on the radio. I understand that, at the moment, it wouldn’t be possible for them to manage all the systems of the car themselves because they are too complex. Do you think it would be possible to reprogram the systems and make some displays available for them so they can manage things like fuel saving and brake temperature and things like that themselves without any outside help? Because maybe they would seem to be managing the race without any help and that would look better from the outside. Mattia, would you like to start? MB: I’d be happy for someone else to start! James? JK: It’s a big topic actually because it’s not so easy. The cars are complex now and since last year considerably so with the power units that we use. The thing for a driver now, when he presses the throttle there’s a lot of stuff going on compared to before. You have electrical machines switching in and out, you’ve got the various motive recharge maybe happening there as well, you’ve got driveability which may change the way the engine… blah, blah, blah… so it’s not ‘press the throttle and go’ anymore. There’s a lot of stuff going on in the background and sometimes you need to change the way that’s working and you need to instruct the driver to do it. But he can’t feel any of that. That’s really instruction to him. Obviously you’d like to automate all of those things but actually doing that is a huge task. If you look at the number of engineers who have to monitor all of these systems from a reliability point of view, a performance point of view – and a safety point of view to a certain extent – that we have to have in the garage now. Both on the chassis and the engine side. It’s quite considerable numbers. And to automate all of their tasks at the track is a very big and expensive thing to do. So maybe in the future you could do it – but right now you have to give the driver some idea of what to do to make use of these cars. He can’t feel what’s going on and he couldn’t possibly understand what’s going on. I guess the second thing is that the only way he could find out if he has to do something is to look at his dashboard on the steering wheel or maybe listening to something in his earpiece. You can’t do that when you’re going around Monaco or Singapore. You need to keep your eyes on the track. So, for them to monitor information that, again, all these engineers are doing in the background, is extremely difficult. I think we’ve got ourselves to the point at the moment where we have to manage the car in a certain way. Possibly in the future it will get a little bit easier. TMcC: I think James has covered a lot of it. The cars are a lot more complicated this year. Ultimately there’s various different aspects to it. We’re very focused often on performance. It’s a global optimization game we’re playing, so we’re trying to maximize every single thing. But, take Canada for example, we’ve been going there for many years, the brakes have always been pretty difficult, you can sit and watch on TV, dust coming out the side of the front wheels as the drivers hit the brakes hard, so it’s been many years that we’ve been informing drivers. Brake wear sensors have been on the cars for ten, fifteen, maybe even longer, you know? So I don’t think a lot of it’s new, obviously a lot of it is now communicated on the TV, so people are a lot more aware of it. There’s lots to it. PS: It’s interesting, isn’t it. Because, on the one hand, the FIA particularly, don’t want us to have driver aids. Now, where does a driver aid start and stop? A lot of the instructions we give them could be automated – but then one might argue that they are driver aids. So, what’s the role of the driver? It does change over the years, and these systems are complex, and probably, given time, we will automate more and more of them. I think with the different power unit manufacturers at the moment, the level of automation is probably different for each one. I don’t find it particularly obnoxious that we assist the driver in these ways. PM: In answer to your question directly: yes we could. In reality, because we’re a prototype business and things are continually evolving, it would simply add to the burden of trying to evolve the car. I think, as James has already mentioned, it would be an enormous task to take on the automation of the entire process. There’s a sort-of blend between what we can do in software and what we rely on the driver to activate through the steering wheel or whatever controls we’re asking him to do it with. There was a bit of a clarification towards the end of last year on what we can and cannot do and I think we’ve reached a sensible compromise in which, as Pat’s noted, we don’t necessarily aid the driver but there’s reliance on both parties to work together. So, it comes together via team action, the driver’s part of the team and everybody seeks to just make the car go as fast as possible and get to the end. So that’s where we stand at the moment. I think the compromise is about right. MB: No doubt that the current power unit are a lot more complex compared to the past and there is a lot of engineering and, as James said, a lot of people in the back looking at telemetry and trying to manage the entire situation. But I think that finally, trying to optimize the performance of the car has always been true, even in the past and even when we didn’t have such a complex – maybe – power unit there was still a lot of communication with the drivers, trying to optimize corners: entry, mid-corner, exit of the corner, switching and whatever. I think the intensity of the communication was there in the past, is still there today. It’s only a matter that maybe today you’re trying to manage the complexity of the power unit and yesterday you were doing something else. But, you will never stop it at a certain stage because it’s a matter of whatever you can do to optimize and improve yourself. Rob, as an engine manufacturer and supplier is there anything you’d like to add? RW: Just that there’s an awful lot of stuff that’s already very automated. I share the view that we could go a lot further if it was an absolute requirement – but we’d need to deal with the problems that Pat’s identified. And then there’s another thing we need to be a little bit aware of, which is that there’s always something unintended that comes out of one of these shots from the hip and we should be extremely conscious of the unintended consequences: it would for sure be a massively costly undertaking which would be another big background cost and activity invisible from the stands and make perhaps Formula One even more deviant. Q: Joe Saward (Grand Prix Special) I have a general question because we’ve heard a lot of people talking about new technology and the sport and whether it’s beneficial or not. Do you think that hybrid technology has been beneficial for Formula One – and is it really something that can be used on road cars? 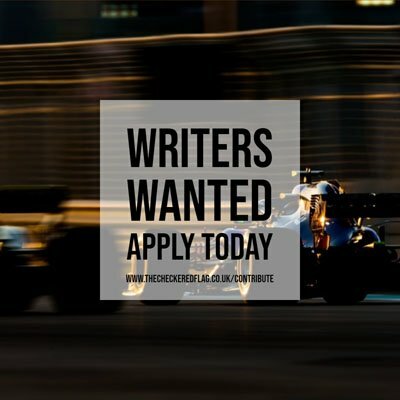 RW: Beneficial for Formula One? I’m sure there are as many opinions as there are opinion holders and therefore difficult to give one. For sure, applicable to road cars: absolutely. Not necessarily the same organs, not necessarily the same components but the exact same design, development objectives and some of the technologies are directly transferable. Road cars becoming more and more sophisticated. The challenge of markets all over the world requires this family of technology and without them it’s not possible to satisfy the regulatory requirements, it’s not possible to satisfy the market requirements, so for sure there’s a direct relevance to the road car industry. MB: As Rob said, no doubt there’s a relevance for the road cars. I think the hybrid is the future of the power unit and if you look as well in terms of fuel consumption, efficiency, the whole systems, what we are achieving currently in F1 is really something quite impressive compared to the current, let me say, achievements on the road cars. So, somehow it’s good for F1 to be there and there is a lot to be done. We are speaking about overall efficiency of our power units, road cars are slightly over 30 per cent, maybe in terms of the best power unit. All of us are clearly over 40 per cent and even higher than that – overall efficiency, so it’s a technology which is important, and somehow I think we are doing very well for the road cars as well in F1. PM: I’m going to look at it a different way. There’s a set of rules there, and someone’s got to win at the end of the season, and we’re all going to chase the same title, and whether you put a different engine in the back, change the rules somewhat, the game stays the same, we want to win. So yes, there’s been a power unit change. I would agree with Rob that it has some relevance to road cars and will drive that aspect of it along quite well – but at the end of the day, all we want to do is make the car go as fast as we can, and that’s what we’ll chase. PS: I think Joe, it would be interesting, had we not done it, would you be asking the question in reverse? In other words, would you be saying “why hasn’t Formula One gone greener?” With the car industry heading for fleet averages of 100g of CO2 per kilometer, that doesn’t come for free. I think when we took the decision to produce these highly hybridized engines it was a time when CO2 was very firmly coming onto the scene. It’s still there. What wasn’t on the scene at the time, of course, was recession, so some of the timing was unfortunate – but I really do believe that, if we were still producing very inefficient gas-guzzlers, I think people would be looking at us and saying: “are you really doing the right thing?” So, I’m very sure that we did do the right thing. JK: I agree with the points that both Pat and Paul have made, actually. I think as a technology it’s for sure relevant. It puts it very much out there in a racing environment. It’s not an unglamorous environment in the end and that’s probably a good thing for a green technology, so I think it’s relevant – and I think that’s a positive thing and the right thing to do. But equally, we are here as race teams and most of us are chassis constructors and, y’know, you want to go out and do your best as well. So, I guess the question is: have we pitched the regs right for this technology? Maybe – and this is purely with hindsight – but if you could go back and think ‘have we got this exactly as we’d want it and will it work as we’d want it?’ Maybe we’d tweak it a bit. It’s a bit late for that now. But I think probably we need to question whether what we’ve ended up with is absolutely the right thing for now, rather than the principal of it. Tom – is there anything you’d like to add? TMcC: Not really much more to add – I think it’s been said. I think the costs have definitely gone up for us doing it. I agree with the points that have been made, for the independent team that’s put a big burden on our shoulders because the cars are a lot more expensive to manufacture and so are the power units. So, I think for the sport to be sustainable for the independent teams going forward, that is an issue – but it does drive the technology forwards for sure. Q: (Dieter Rencken – Racing Lines) Question to the two engine representatives. Did your companies… were they in favour of the token system when it was originally mooted and, if so, do you now regret it in hindsight, given the complexity and the logistics of managing the entire system? MB: We are Ferrari were in favour. We are in favour because we knew we were behind compared to our main competitors and, for us, it represents somehow a opportunity for a continuous development and a continuous catch-up. We do not regret it and we have still tokens to play and we are very happy somehow with what we are achieving and what we are doing. We know that there is still room of improvement, there is maybe still a gap compared to the main competitors but we know that, overall, we are really progressing well and, again, we are not yet middle of the season, still tokens to be played, and very happy that we have tokens available. RW: There’s two questions nested. At the time, when they were created, then it was seen as a way of managing development over a number of years. It seemed like a decent compromise at the time. As I said earlier, it seems like they’ve taken on a bit of a life of their own, which has honestly, in my opinion, been excessive. Like Mattia, when the subsidiary question of tokens during the season became clear, then we were in favour and remain in favour. And for that reason, as I said earlier, I don’t feel like there’s anything to regret about the current token status during this year. We will also, of course, want to be consistent and would also be in favour of that same mechanism in future years. Which is not currently the case, bearing in mind the 2016 sporting regulations as they are now written. Q: (Viktor Bognar – Magya Rszo) Question to Pat and Mattia: recently there was an interesting comment from Lotus technical chief Nick Chester who said that today’s engines and gearboxes are so reliable – or at least some of them – that the cars would be able to compete in and finish a 24 hour race, providing they have the fuel and tyres. Do you agree with that and if yes, do you think it sends a positive message about Formula One which is considered a sprint race? PS: I have to admit my ignorance of not knowing what distance they cover in 24 hours at Le Mans. 5300 kilometers? Well, we could certainly do that on a gearbox, I’m sure. We probably haven’t achieved that yet but we’ve certainly been well over four thousand kilometres on test gearboxes, so I don’t think that’s a real problem, and actually engines have, I believe, got up there as well, so yes, we could do it. But that’s not to say that it means that Formula One isn’t a sprint race and in fact, I think that Le Mans is a 24 hour sprint race these days, so I think we’re always operating at maximum performance. I think that it’s the massively improved engineering and understanding of the componentry that’s occurred in the last few years that has allowed us to reach these high levels of reliability and in doing so, they have of course reduced costs considerably, from the days when we used to fit a fresh engine every day. MB: It seems that Pat was quite completing the answer. Our engines and power units and power trains are doing the distance that Le Mans is somehow doing, not completely far from it and in that respect, I think yes, they can do it. Q: (Daniele Sparisci – Corriere della Sera) Mattia Binotto, in Canada you have introduced a new engine spending tokens and Mercedes too did some upgrades but apparently without spending tokens. From what we have seen until now, how do you see the gap to Mercedes? Do you feel you are closing it in terms of performance and power? MB: So it’s difficult to judge the difference in performance in power units, because finally what you can judge eventually is the difference in performance between the cars. We know what we’ve done on our side, we cannot know what Mercedes have done so far. It’s true we’ve spent tokens, you spend them for performance, so what we did was clearly an upgrade on performance in Canada, while Mercedes has not spent any tokens yet. They simply tried to fix some reliability problems, so whatever was modified in the second units introduced in Canada was for the only purpose of reliability. Now what you can do is try to compare GPS data on different cars, try to understand the different profile of acceleration and try to extract from it eventually what could be the difference or the gap in overall power in performance. It’s clear that compared to what was the situation of last year now the difference has been reduced by a lot and obviously you are doing… when you are doing such an exercise you do it on a statistical basis, difficult to really have an accurate value on a single lap, on a single comparison but we believe that currently the situation is really close and eventually, race by race, you can have some results which can go in that direction or another, but after Canada we believe that Mercedes is still in front but by a quantity which becomes really reduced at the moment. Q: (Joe Saward – Grand Prix Special) Is it possible to get a thousand horsepower out of the current engines and without changing the amount of fuel being used? PM: I would refer you to the gentleman in the yellow shirt behind me to answer that question! RW: The answer is a thousand horsepower from the engine – I think you said engine, power unit – there’s a big old load of horsepower washing around in the electrical machines. A thousand horsepower all the time without more fuel flow rate is very difficult in the short term, impossible in the short term, unlikely in the longer term. The question is all around the efficiency to which Mattia alluded earlier and of course the thing that fundamentally controls the power coming out of the power unit is the amount of fuel rate going into the hundred kilograms per hour limit and the efficiency of the power unit so the short answer is not yet and in order to get a thousand horsepower out of the current family of power units, a modest increase in fuel flow would be the shortcut. MB: I think Rob is right when he says that in the short term it will be very difficult but that in the medium long term there is something that is achievable so I think that even without touching the current fuel flow it’s something that with our overall power units it’s a level of performance that you could achieve. No doubt that by increasing the fuel flow would be a shortcut and the only thing is that it could even be something interesting to increase the overall performance of the cars and affect the colour of F1. PS: Yeah, I bow to the engine specialists. I think that we would need more fuel if we assume that the electrical side is held constant, because of course you could increase the electrical power and you could do that using the same amount of fuel but you couldn’t keep it sustained of course. It depends on the size of the energy stored, it depends on the size of the recovery so yes, it could be done but it would be for a limited time. But is that really what we want to do? Why do we want a thousand horsepower, it’s quite an emotive number isn’t it? We’ve just been talking about WEC cars, they’re way over a thousand horsepower. Are they actually more spectacular? Personally, I’d rather see the hundred kilogram race fuel limit go down year on year so it forced us into more efficient solutions. JK: Well, again, I would defer to what Rob has said. I think he’s certainly (inaudible) better than I. I wouldn’t entirely agree with Pat’s fuel limit change right now but yeah, as Rob, Matteo said, maybe in the future it would be possible unless there’s a short term measure that could help plus the electrical stuff as well. TMcC: I agree with Pat really. I think efficiency is definitely important, going forward from the marketing point of view as well. Q: (Dieter Rencken – Racing Lines) To the four race team people if I could call them that, particularly the two Red Bull representatives; how difficult is it – and I’m sure that at some stage in your careers your teams have signed up for the wrong sort of engine if I can term it that – how difficult is it to live with the demotivating factor, knowing that for an extended period of time you probably aren’t going to win, particularly if it’s a power driven formula, the way that we have at the moment? PM: I would challenge your summation that it’s demotivating. I think it would be very difficult to ask the guys who work hard in the garage – and those that attend the track that work far harder than I do – to say we’re going to go along but don’t worry about it. The drive and determination that exists in our garage is unstinting and it’s a credit to the people that are in there and a credit to the substantial workforce in Milton Keynes that there’s no loss of motivation. We’ve enjoyed some years in the limelight and we’ve enjoyed four world titles and I think the legacy of that is that we are keen to get back there. It’s a partnership with whichever engine supplier you have and in our current circumstances we will work as hard as we can with Renault, we’re not demotivated, we want to pull ourselves back up to winning races and challenging for titles, there’s no lack of motivation. If you look at the timescales in which Ferrari have turned themselves around, they’ve done it in a year and they’ve done it as a package. Last year, arguably we were a little bit quicker than those guys, now the roles are reversed, so it can be done in perhaps a shorter scale that you’re alluding to and that’s the aim, it is achievable. Will we do it or not? Time will tell, won’t it? JK: I tend to agree with Paul. I think it’s not demotivating. Actually, you obviously work hard and support your partner. We work very hard with Renault and they’re working very hard to push things along. In a way it motivates you more because in the short term you have to compensate with the chassis a little bit while you’re waiting for the updates to come and that’s what we’ve been working on. So our targets haven’t changed for… I’m sure Paul’s haven’t changed at all, they’re trying to get back to the top and ours certainly haven’t changed. We’re trying to have a gradual rise through the championship because of the situation that we face now. We just have to do it as best we can with Renault and on the chassis side. TMcC: I haven’t too much to add. If I think of my role and the role of most of the people in the factory, it is a global optimisation game. The power unit is one of them and it’s obviously being spoken about a lot at the moment but there are so many other aspects that make our job very challenging and being on top of all of those, not ignoring any of the other factors is what’s important. Take Monaco for an example: it’s not really a power circuit, as a team we definitely struggled coming up to that event. We knew if we were on top of our game we could qualify well within the top ten. Both our drivers are on top form at the moment. Sergio on that day qualified seventh I think, and we raced to seventh and that was due to lots of factors: getting the most out of the car, the drivers, the people, so that motivates us a lot. PS: I don’t really know why you focus on the power unit. Motor sport is… all sport is a meritocracy. In motor sport there are many elements of it and in our case we have a competitor who uses the same power unit who is regularly beating us. I don’t find that demotivating, I find it inspirational, I want to beat them. I think it applies to every aspect of the many faculties of engineering that we have to bring together in a Formula One car.